Our April Volunteer of the Month is Janet Horn. She is originally from Yakima. She has a brother that lives in town. She used to work for the phone company and retired in 2013. She has two dogs, Annie (17yrs), which is a Plott hound, and Boots (13yrs), which is a Cattle dog. Janet enjoys reading, crocheting, sewing, and going on walks. She walks her dogs with her neighbor every morning. 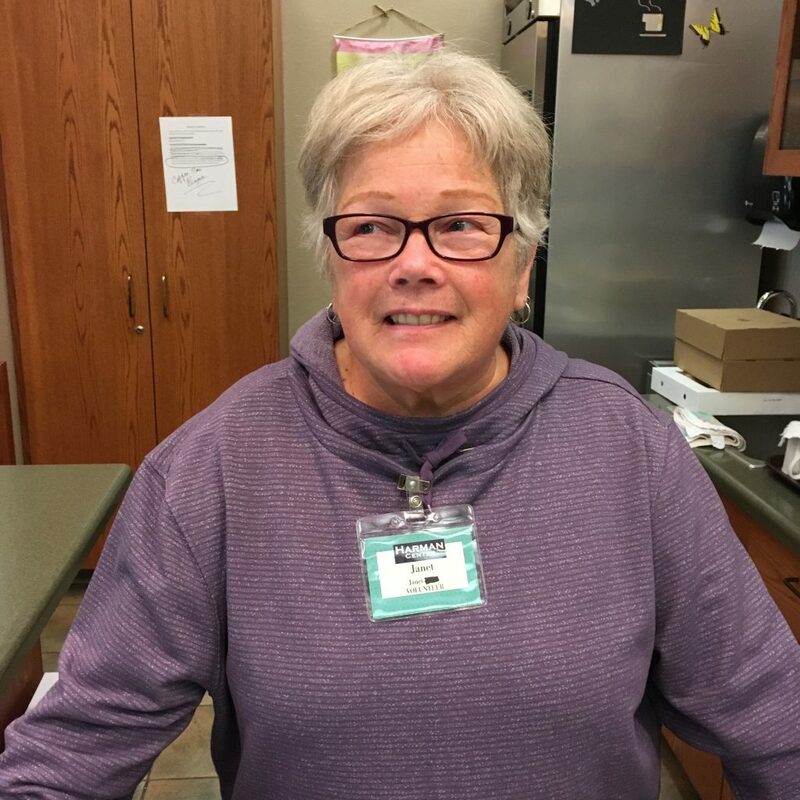 Janet began volunteering at the Harman Center in late 2013. She has continued to be involved with the Center ever since. She volunteers at the Coffee Bar and with Special Events/Fundraisers. She started volunteering at the Center to keep busy and to meet people. Her favorite part of volunteering is the people. Janet likes to help others and tries to keep organized. Come on down to the Harman Center for a cup of joe and meet Janet, as well as some of our other Harman Center Volunteer All-Stars.